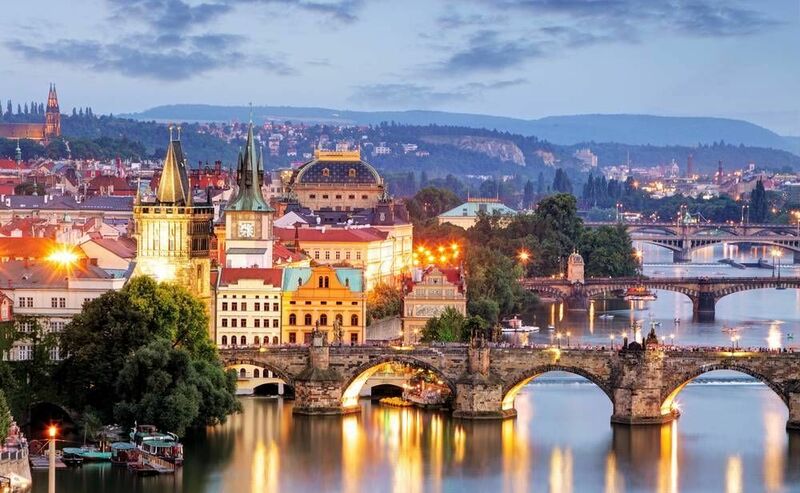 One of the most extravagant and luxurious cities in Europe is none other than Prague. A city fit for kings and queens, Prague has a Romanesque feel like none other. Prague enjoys incredible architecture eluding Roman chapels, cellars, gothic cathedrals, and other magnificent buildings that will take your breath away. Prague is also one of the top destinations for classical music and is home to some of the most renowned music clubs. The picturesque views or the city will leave you dumbfounded. From the Vltava river to the Charles Bridge, and everything in between, there is always something to see and do in Prague. Check out their cool astronomical clock, a 600-year-old mechanical clock face that welcomes tourists from around the world each ear. Lastly, don't leave without visiting the iconic St. Vitus Cathedral, a Roman Catholic shrine and the seat of the Archbishop of Prague. Check out Prague the best way there is – by foot. This is one of the best cities to walk in, so joining a free walking tour is a no brainer. Feel like a king or queen while walking through Prague’s Old Town, New Town, and Jewish Quarter. This 2.5-hour tour is ideal for those looking to experience Prague's Major sights with some of the best guides around. Guides will give you tips and tricks about the city and give you advice on where to go for a drink, a quick bite of traditional Czech food, and where to get the best beer. Fin the tour guides with the yellow umbrellas, and you're all set! See all the major sights in Prague in only 3 hours! If you'd like to experience all that the city has to offer, then this is the ideal tour for you. Walk with knowledgeable guides who know their city, enjoy the sights, and learn about the city's history and culture. Start at the Powder Tower and make your way to the Old Town and Jewish Quarter. Finish off at the Charles Bridge or continue onto their second free tour, The Charles Bridge & Prague Castle Free tour! Another great option to see the city is by joining the Good Prague Tour. The guides pride themselves on giving the tour a funny twist by cracking jokes and telling funny stories throughout the tour. Explore the city, learn about Prague, and get entertained by the most entertaining tour guides in town. Discover the most famous sights and hidden gems of Prague on 4 unique free tours in English. Free Walking Tour Prague is theonly free tour operator in the Czech capital providing a complete tour of Prague totally on a free contribution basis! Are you from Prague and want to be a tour guide? Please get in touch by submitting your details on this page!